 The purpose of this training is to introduce new users to the AutoTURN PRO 10 software. 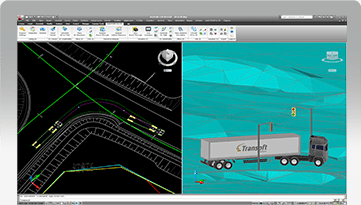 At the end of the training session you will be able to confidently use the AutoTURN PRO commands to generate 3D swept path simulations. 3D swept paths can be generated on the default XY plane (Z=0) or on a supported terrain model. How to create a compatible terrain in AutoCAD, Civil3D , MicroStation, BricsCAD, or ZWCAD? 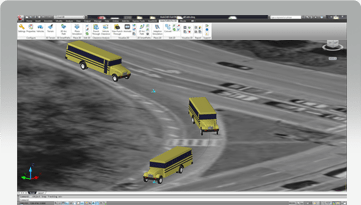 Alter existing simulations to optimize segments along the swept path, extend simulations and modify how vehicles are displayed within the simulation. Commands: Path Control, Continue Simulation, and Place Vehicle. Custom design settings can be imported, exported and shared with all team members to manage consistent styles of the drawings. Design, analyze, and visualize in three dimensions by generating a 3D arc path directly on a selected terrain (Civil 3D® surface, polygon and polyface mesh in AutoCAD® and MicroStation®). Easily convert a 2D simulation into 3D by selecting a terrain for the vehicle to interact with. 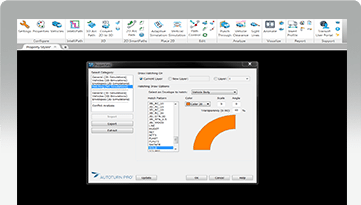 This feature lets you to complete a conceptual design in a 2D plan view while allowing for further analysis in a 3D mode.